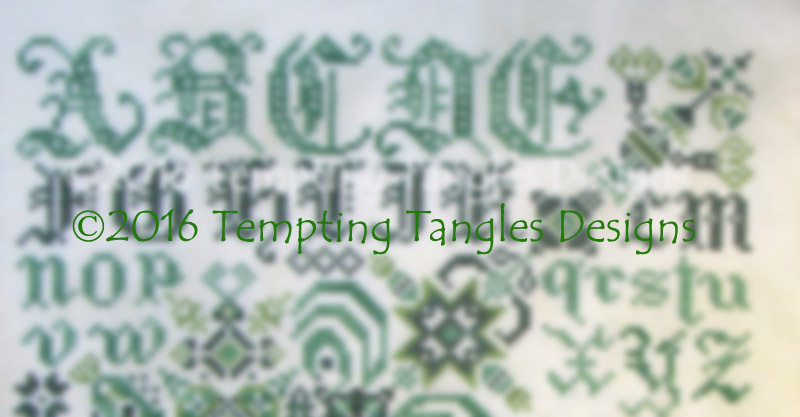 Peek behind the scenes of Tempting Tangles Designs! 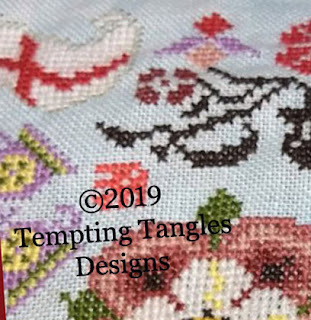 See our 'works in progress' for upcoming designs. 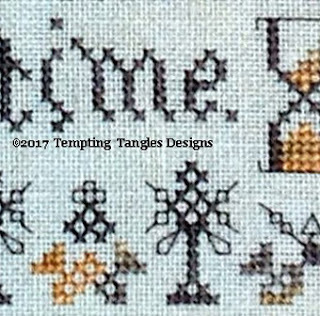 We offer counted thread designs in cross stitch, needlepoint, and blackwork, all with the adventurous stitcher in mind. We have two new SALs set to begin Friday, April 12th. Each are in 16 parts. Every two weeks, a new part will be posted to the dedicated Facebook Group or emailed if you are not on Facebook. You can read all the details on our Etsy listing - see the link below each picture. Echoing Evergreens SAL is more than halfway complete. If you have not yet joined the group and collected the parts released so far, this is the perfect time so you don't miss out when the group finally closes. 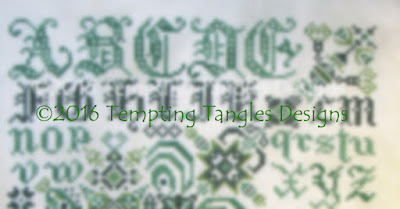 You can also just sent $5USD to me on PayPal to temptingtangles AT gmail.com and note please it is for Echoing Evergreens. 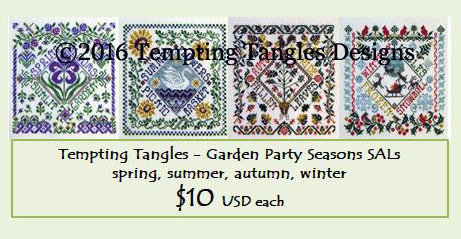 Our Tempting Tangles Spring Garden Party SAL has evolved into one tidy group – same URL – to encompass the other Garden Party designs in the series of 4. 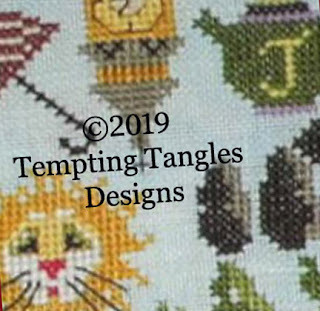 We will continue to email the Spring Garden Party parts to those who bought only that design – on our published schedule. For those of you that have already purchased any of the other 3 as charts from us on Etsy, we encourage you to join us and show off your stitching. There is no need for you to buy the other 3 charts to stay in this group because we only email SAL parts to you who have paid. We will soon announce a start date for the 9-part Summer Garden Party SAL. Join us to get the current news! 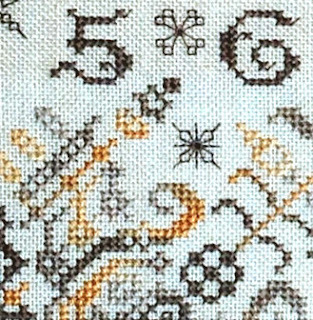 Search our Etsy shop for "Garden Party" Series to find them all.